I know…you can hardly believe it! But it’s true. I’m hosting a giveaway. I have sort of neglected my writing-blogging for quite some time now, so much so that I feel convicted–so–kicking off the writing with a fabulous give-away! I excitedly opened my mail the day this book arrived because I knew it had several powerful testimonies in it–Dineen’s and Lynn’s–and another young lady who is especially dear, my daughter, Tiffany. Whether you are the parent of a prodigal or not, doesn’t matter–this book is a good read for anyone who wants to come closer to the heart of God. When I began reading, I found myself grabbing my pencil to underline points right off the bat. This would be a great book to use as a small group–parents of any age kids! So, let the party begin! The drawing will be held Sunday afternoon, December 1. Not much time–but this would be a goodie to stick in someone’s Christmas stocking! To read more about the book, scroll on down this blog and read the next two blog posts from Lynn herself! To enter this drawing, simply post about Lynn and Dineen’s book on Facebook and/or Twitter; then come on back here and let me know you did–Tag the two authors (if you are friends with them on facebook) and get ready to enjoy a great read and grow in Christ (if you are the blessed chosen winner!). 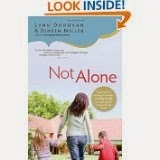 The more times you post on Facebook about Lynn and Dineen’s book the more times you can enter! Just be sure and tell me that you’ve posted and how many times. I will enter you as many times as you post for them! If you don’t want to wait, head over to Amazon.com and get your order on! By the way, this is the SECOND book they have written as a team! The first one is equally a favorite! This entry was posted on Monday, November 25th, 2013 at 3:45 pm	and posted in Book Review. You can follow any responses to this entry through the RSS 2.0 feed.